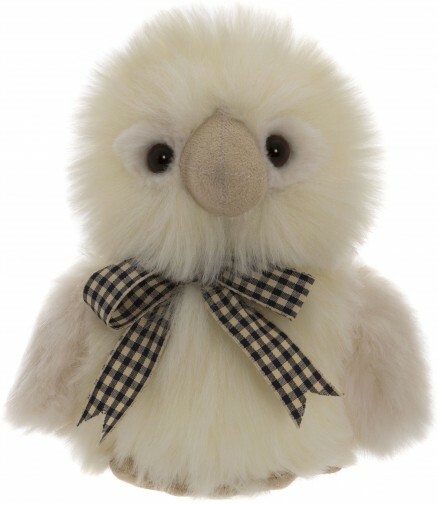 Corfe Bears > Charlie Bears > DIPPY EGG 7"
CHARLIE BEARS DIPPY EGG 7"
DIPPY EGG is a cute little chick, who has soft, fluffy creamy/beige fur, a beige beak, dark eyes and wears a brown checked ribbon. He sits perfectly in the half egg, called EGG CUP, which is available to buy seperately. If you want a slightly bigger duckling, look at SCRAMBLES.